Web developers from BEZA.NET know how important a website is for different businesses. A website is one of your most vital online assets. When your site is hacked, it goes down and your website’s rankings may plunge as well. That is why we make sure our clients’ websites are secure at all times. It is not only web presence that we care about but security as well. 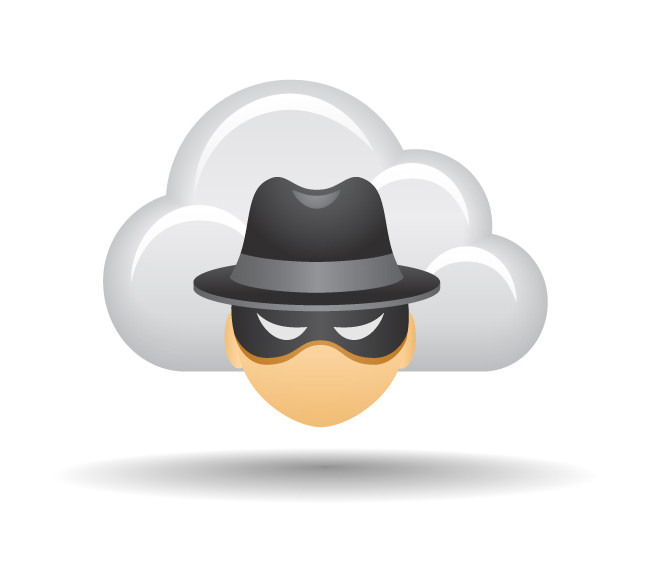 The compromised site affects your business and marketing initiatives. Hacking impacts your information along with that of your users which may lead to negative outcomes. For example, Cross-Site Scripting damages the website’s status because the hacker has the ability to redirect the site where he wants to. Potential visitors are driven to an irrelevant site so they lose trust in your site and are likely not to return. Hackers can be compared to pickpockets. These cyber thieves try to steal your identity and valuable information such as passwords, banking details, and credit card information. These computer pirates may use your site for surreptitious activities like pirated software and fake prescription drugs. Once hackers get into your site, they spam the website or install malware. Spam usually refers to unsolicited emails. Website spam refers to text filled with links to the Internet crook. Spamming takes place without the website owner’s knowledge. Codes with spam links are concealed deep inside the site. Malware means malicious software that controls your site and uses it in spreading the virus. Websites with malware can be banned by major search engines like Google. This is similar to being quarantined but the bottom line is your website will be flagged or blacklisted on the Internet. The result is your rankings may drop significantly and you can lose around 95 percent of visitor traffic to your website. More than 10,000 sites are affected by this problem on a daily basis. The good news is Google has been very aggressive in its campaign against spam by replacing search algorithms and getting rid of hacked websites. Website owners must know that their sites are vulnerable to hacking. Fortify access control by ensuring that hackers are not capable of guessing your username and password. For example, if you operate a WordPress site, it is advisable to transform or adjust default the database prefix from the standard “wp” to something which is irregular and difficult to guess. This can sometimes help against automated hacking tools. Increase your network security by using strong passwords and changing them often. Scan devices for any malware. Use Security Sockets Layer (SSL) protocol to transmit personal information of users from the site to your database. Keep your website applications up to date and if you use WordPress (which is very popular), ensure to activate auto-update. Don’t use outdated website applications or plugins. One of the main methods websites get compromised is due to outdated or no longer supported software. 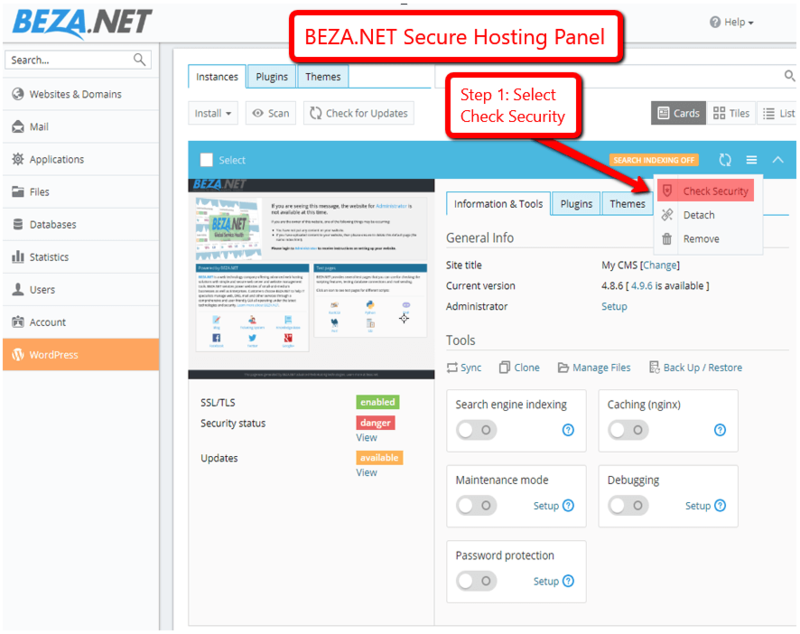 Hire a trusted, reputable firm such as BEZA.NET to identify the areas on your site which are vulnerable and which protocols can be deployed to deter hackers. Websites must be healthy at all times. This can only be made possible through regular maintenance. Otherwise, you will always be at the mercy of unscrupulous hackers. Avoid getting obsolete software. Look for the website hosting provider that will provide you with absolute protection. 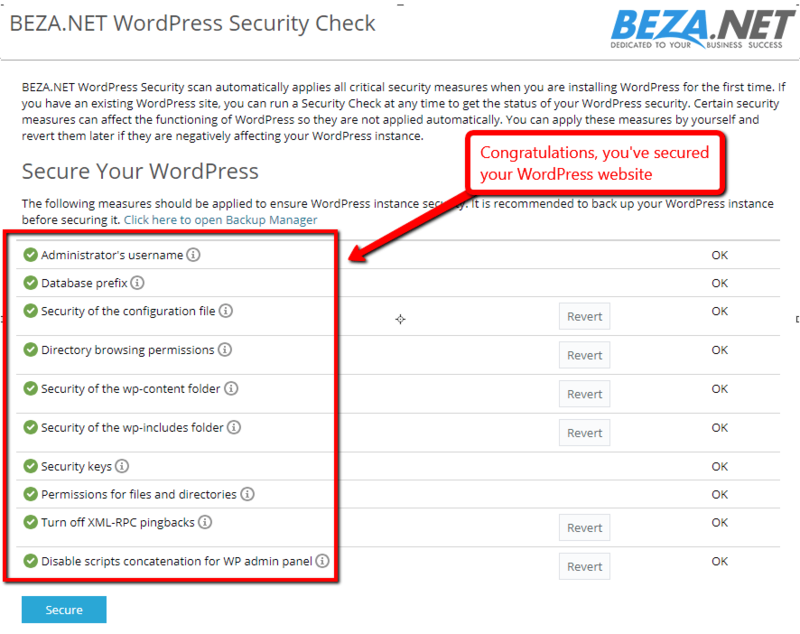 BEZA.NET can give you the right answer when it comes to website security matters. We provide completely-validated and FREE Security Sockets Layer certificates to all clients who want to utilize our secure web hosting services. We also offer FREE updates to the most common website applications like WordPress. 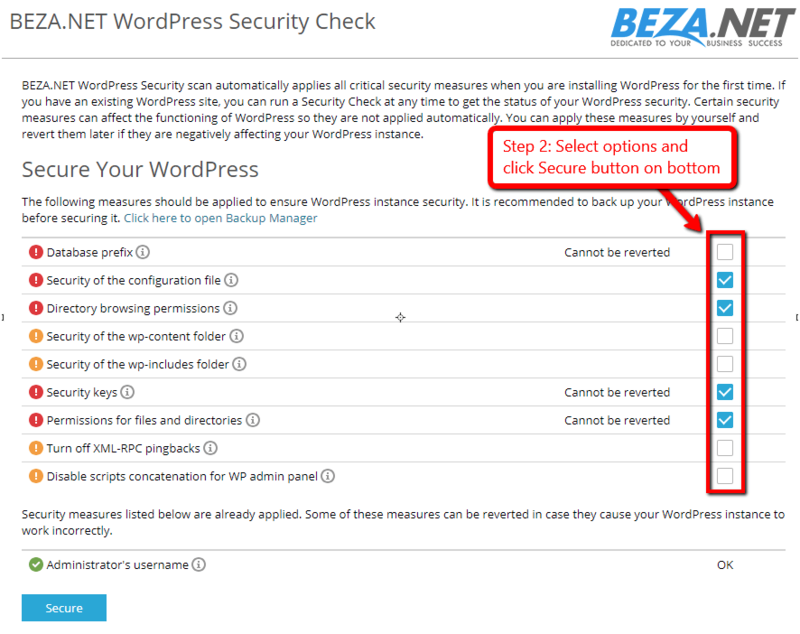 For example, securing WordPress through the hosting control panel is one-click and our system performs numerous security hardening steps to protect your WordPress website. 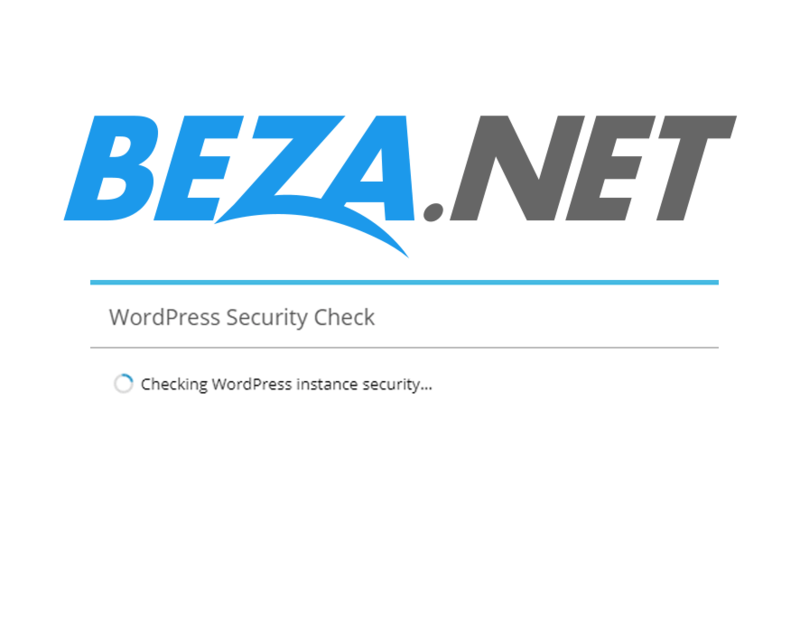 Protecting your business website is one of our primary goals here at BEZA.NET. This is why we offer FREE tools and value-added services like our Website Security and WordPress Security services which deliver the highest level of security for any business website. 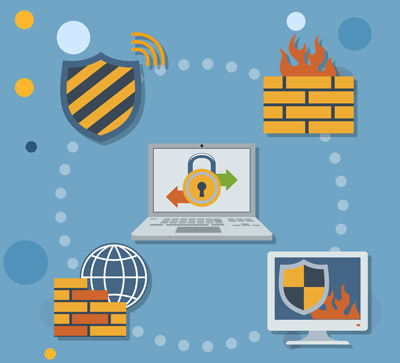 Have a security question about your business website? Our expert security specialists are available 24/7. Chat with us or contact us today to learn how we can help keep your business website safe and secure.